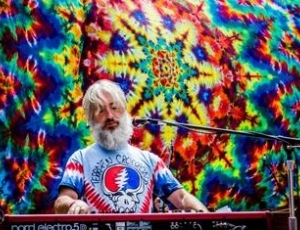 Please join us for a very special evening Friday, April 26th with Phil Lesh & Friends keyboardist Scott Guberman. Doors will open around 7:15 and you are welcome to chat with Scott before the performance which will run from 8-10pm. 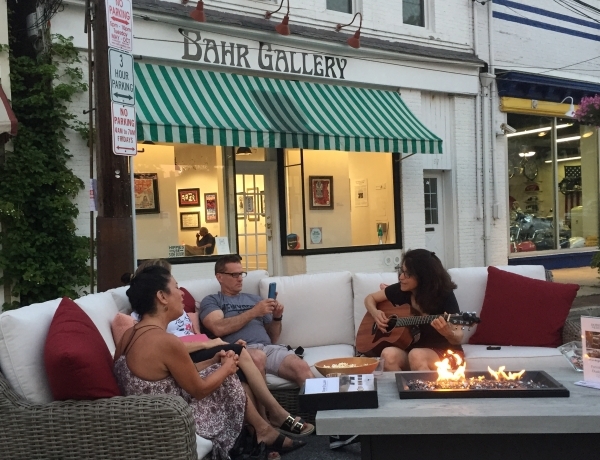 There is a $10 cover but this also includes Bahr Gallery-style refreshments (beer, wine, soft drinks, snacks). Click the "view more" link below and get all the details. 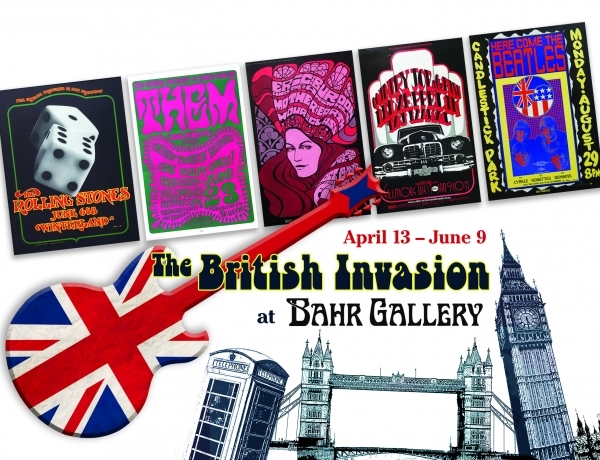 We are having our own British Invasion at the Bahr Gallery this Spring, featuring a simply smashing collection of original first edition poster art from British groups in America in the late 1960s and early 70s. The free Exhibition runs from April 13-June 9. Click below for more information. 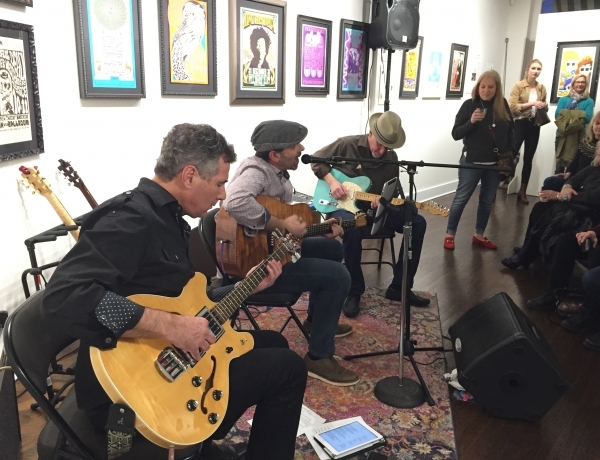 More than 90 people came to enjoy Hawaiian Slack Key guitar music at the Bahr Gallery on Saturday night, March 23rd. 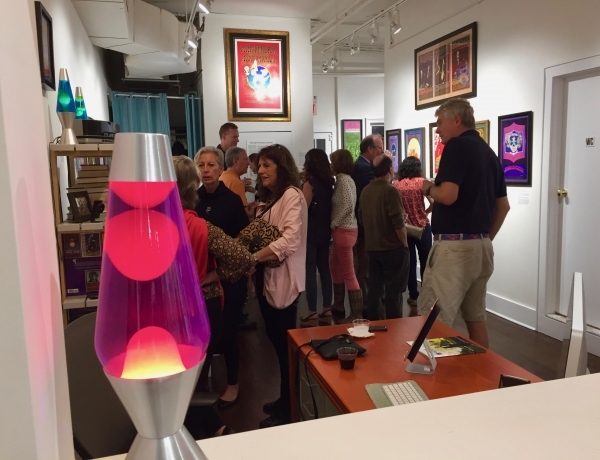 The wine and cheese, snacks, and great music were all surrounded by the Winter Showcase Exhibition of more amazing vintage 1960s psychedelic rock poster art! 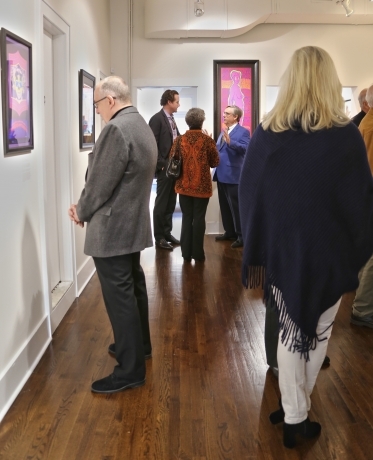 More than 30 new pieces are hanging at the Bahr Gallery and waiting for you to come and see! The exhibition opens Feb 8 and runs through March and we have opening receptions Thursday Feb 7 and Saturday Feb 9. Click "View More" below for more information. 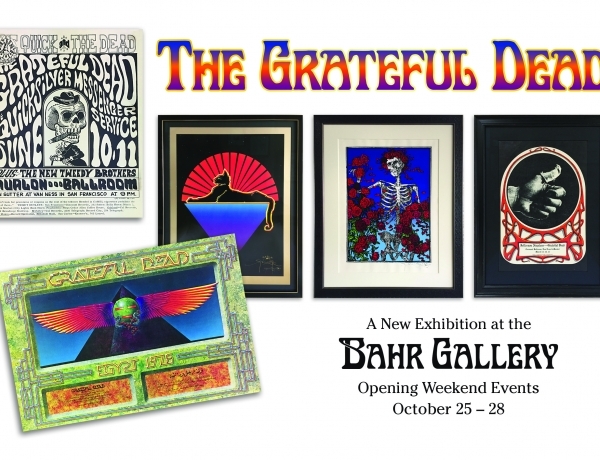 The Bahr Gallery, dedicated to first-edition, psychedelic rock poster art of the 1960s, will feature vintage Grateful Dead posters in an exhibition opening October 26, and running through December 23. Grateful Dead posters from 1966-1987 will be dispayed with emphasis on pre-1971 rare works. 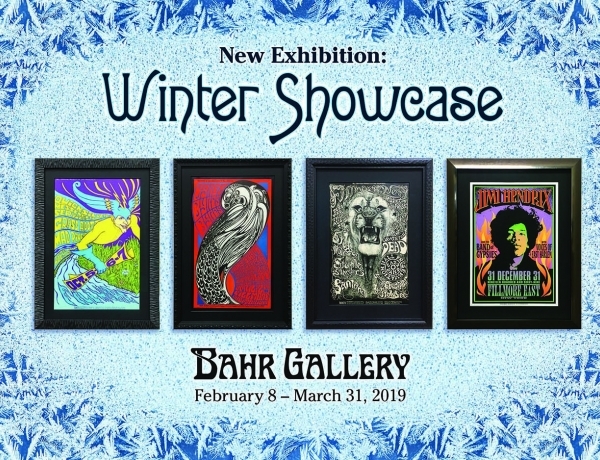 Included in the exhibition are a scare 5/8/77 Barton Hall, the Grateful Dead at the Boston Tea Party on New Year's Eve 1969, the original Aoxomoxoa poster, a rare first printing Skeleton and Roses, and an oversized, mind-blowing day-glo poster from Panther Hall in Ft. Worth Texas, 1970. Two opening receptions with refreshments and period music are scheduled for Saturday and Sunday nights (Oct 27 & 28) from 5:00-7:00pm. Please RSVP to ted@bahrgallery.com More info below! 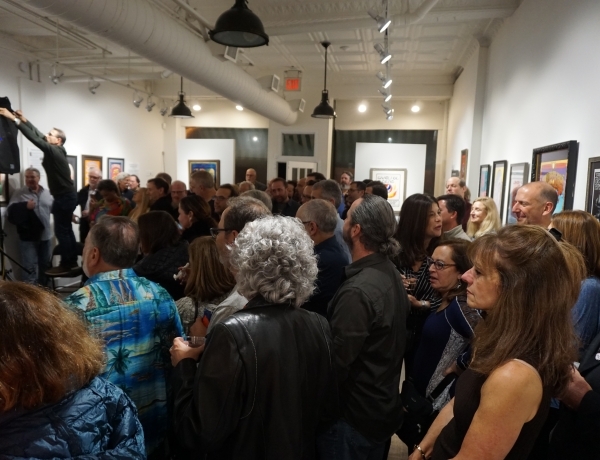 45 North Shore residents braved heavy rain to gather and celebrate with Cove Living Magazine on a Fall Thursday night at The Bahr. 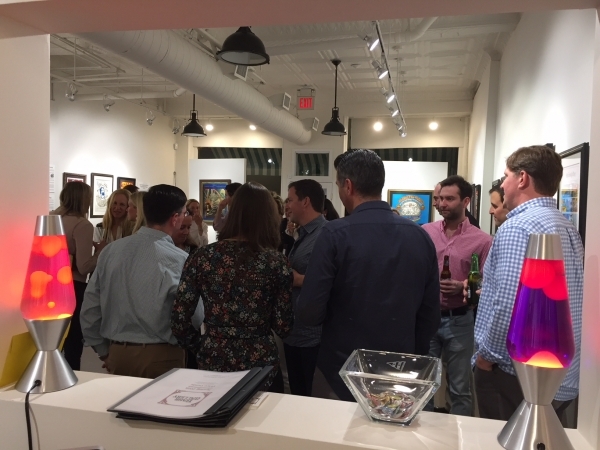 Guests noshed on traditional Gallery fare; wine, cheese, nuts and veggies and Curator Ted Bahr gave a guided tour of the period and it's vibrant art. 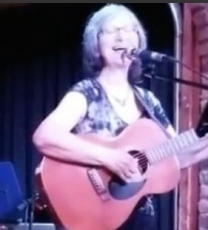 Enjoy some refreshments and great acoustic music next Thursday night, Aug 16, at the Bahr Gallery with Huntington-based singer-songwriter Linda Sussman! From 6:30-8:30 we’ll be getting ahead of the rush of events next summer and celebrating Woodstock’s 49th anniversary! Surprise 40th Birthday Party at The Bahr! Emily Moriarty's husband Ryan thought up a novel way to surprise his wife for her 40th birthday.